When the temps are below freezing and there is snow on the ground what do you do for fun? Well if you are like me and DO NOT like the cold weather AT ALL you sit inside cooped up. Which makes you go crazy because there is only so much you can do to keep 4 kids busy inside a home. 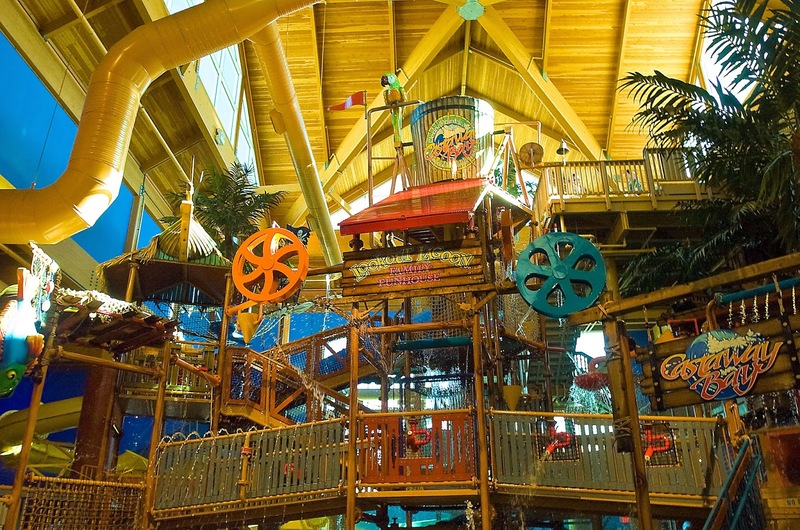 Luckily for us Ohio has some great indoor water-parks within a short driving distance from our home. Even though Winter Storm Linus was on the horizon for the weekend, we didn't let it keep us from visiting Castaway Bay for their annual blogger event! Thanks to Castaway Bay for hosting us! There is so much to do for the kids at the Castaway Bay waterpark and it is just the right size in my opinion for families. Some of the other indoor waterparks are very big and I do not feel comfortable letting my kids go around and play on their own. I was not super worried about my boys going off and playing in the Castaway Bay waterpark because you can easily see almost all play areas from anywhere in the park. There is also only 1 entrance and exit to the waterpark. 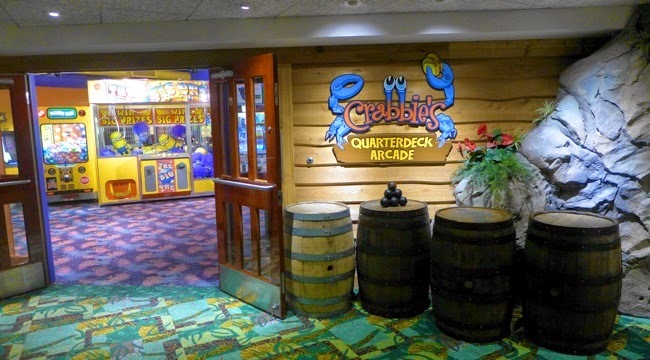 Not only did the kids love the water-park but also had a blast playing in Crabbie's Quarter Arcade. I mean come on doesn't a arcade bring out the kid in us all. Playing the games and earning tickets it just gives you a thrill. The boys had a blast playing games against their dad and loved seeing their dad act like a kid in a candy store. I loved that Crabbie's is a "Green" Arcade meaning there are no tickets being used. The tickets automatically load onto your card if you win any. Of course we can't forget about the great room we stayed in while at Castaway Bay. My family got the opportunity to stay in a wonderful Tarpon Suite which I feel is the way to go if you have more then 2 kiddos. The room features a King bed and two bunk beds in a separate room. Though the bunk beds are in a separate room there is what would represent a window in between the rooms so you can keep a eye on the kids easily. The kids room has their own flat screen TV as does the adults side. The bathroom has double sinks which makes getting ready so much easier because everyone is not waiting to use the same sink. There was a huge walk-in closet, fridge, microwave and a in-room safe as well. I love having in-room safes because you don't have to worry about stuff while you are out of the room that you can't or shouldn't have with you while in the water. So if you are looking for a great and local getaway to escape the cold I would highly recommend Castaway Bay where its always a warm 82*! 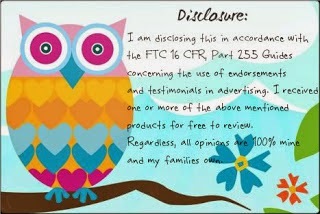 Promo Code: BLOG while checking out to receive this special. 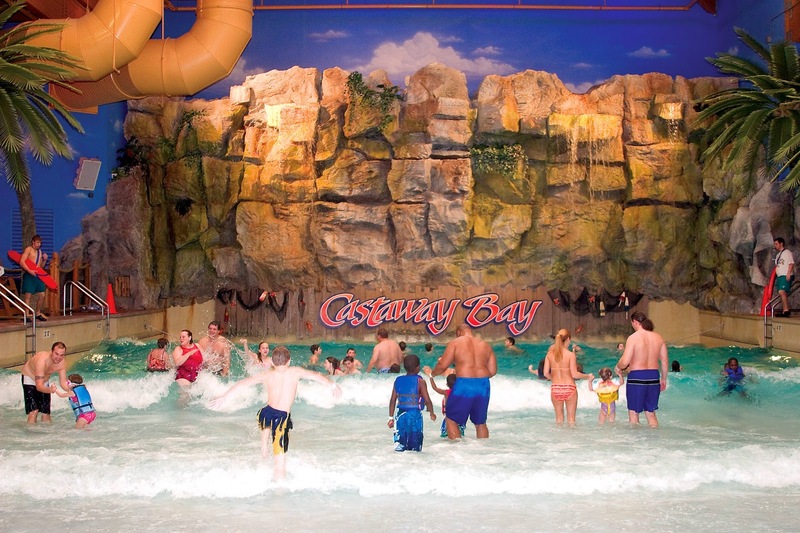 Reservations can be made online at castawaybay.com or by calling 419.627.2106. We would love to try out the wave pool! My youngest would want to go to Creature Cove first. My older 2 would definitely go for the slides. We loved the lazy river! My lil one took many naps on me in the tube! We would love the tropical tube slides.